This recipe has been a "go to" favorite of mine for years. I forget where I found this recipe, but I know it was a clipping out of a magazine or something. You probably have all these ingredients stocked in your kitchen most of the time, so this is a great last minute, yummy dinner. And it's ready in about 1/2 hour, from start to finish. In a shallow bowl or plate, mix all the ingredients except for the chicken. 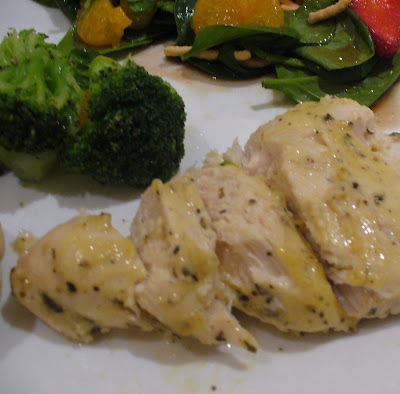 Cover the chicken with the Dijon mixture. Place in baking pan. Cover with foil and bake for 25 minutes or until done. Half hour later you can serve a delicious and easy meal to your family or guests! 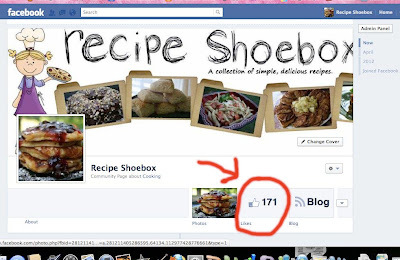 Want to see links to your favorite recipes from Recipe Shoebox in your Facebook feed? Be sure to "LIKE" our Facebook page! We're happy to "see" you and hope that you enjoy the little peek into our recipe boxes. :) I've just added an ingredient index (above in the menu bar) where you can see lists of recipes that contain a specific ingredient you're trying to use up. Happy eating! Which recipes are hot right now? Pumpkin Cookies "Cakey or Non- Cakey!?" Updates, Baby Gender Reveal, the Holidays and What's to Come! My name is Lara and while I'm definitely not a gourmet cook, I do love preparing tasty, healthy meals for my family. Finding new recipes to try and sharing the ones we've already fallen in love with is a passion I've had since college and the reason why I've started this blog! With five kids, I'm usually in a hurry, so you'll find most of these recipes kid friendly and simple to make.